How many letters can you chain together to form a word? Point value: 3-4 letters = 1 point, 5 = 2 points, 6 = 3 points, 7 = 5 points, 8 or more = 11 points. Goal: Try to form as many words as you can before time runs out! Visit Teacher Led for a free letter generator to project on the Smart Board (just click the Go button)! 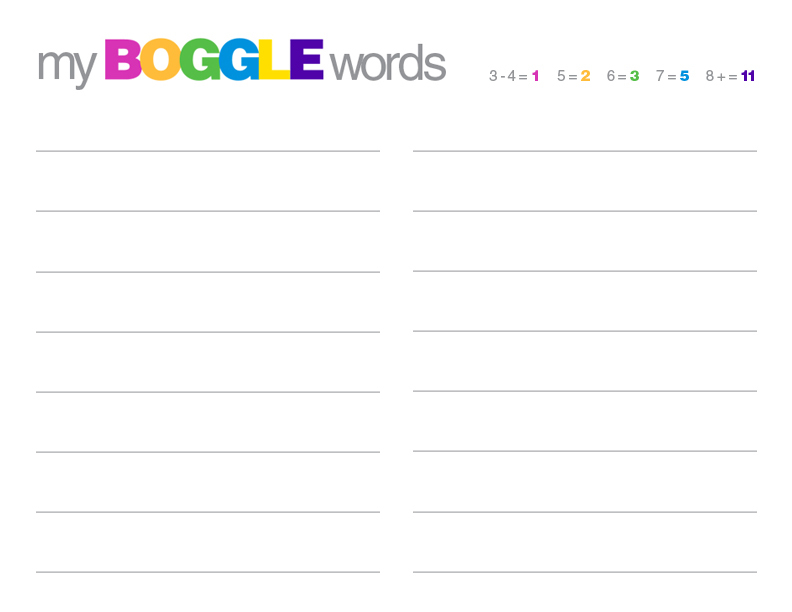 Click here for Boggle Rules from Hasbro.